So this past week there was a bunch of news about a liar claiming that his program was the first to ever beat the 'Turing Test'. Of course, anyone with access to Google knows that this is nonsense - chat programs have been as or more successful than this particular contender for years, and none of them can reliably convince people that they're talking to an actual person. 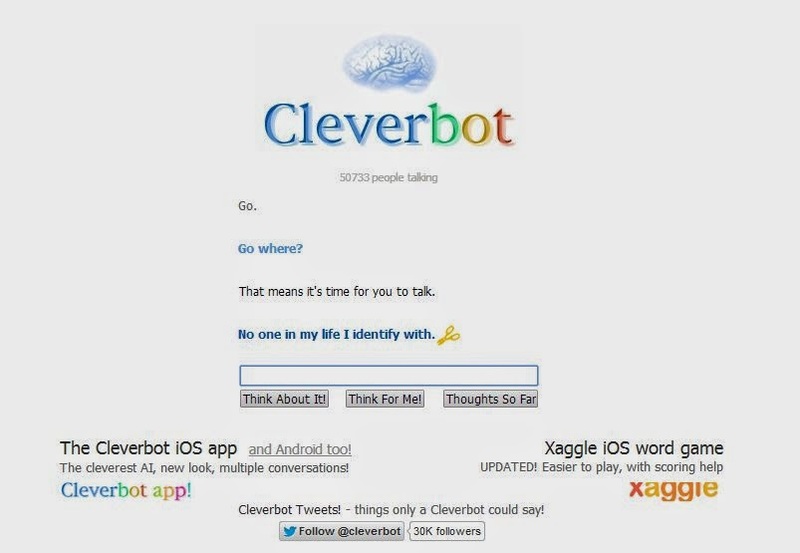 Still, all this talk about AI conversations got me nostalgic for Watson, the computer that cheats at Jeopardy, and while reading about him/her/it I was referred to a page about Cleverbot, one of those chat programs that people discuss fondly when talking about attempts to beat the Turing Test. So I decided to boot it up and see what happened. This was the result. Two questions. The thing lasted two questions before breaking. I know there's no reason to expect that cutting-edge AI would be found for free on the web, but wow, that's just sad.